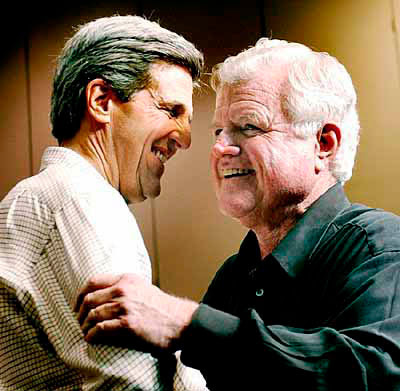 Everyone's still abuzz about Ted Kennedy's backing of Barack Obama. The Clintons sure know how to screw things up. Obama had the good grace to seem truly thankful. Still, as a bright guy, he's gotta know this is one mixed bag of ... em ... support. Yeah, support's the word. The even earlier news that John Kerry was throwing in with Barack was viewed by some in Boston as a kiss of death. Kinda like when Kerry wished the Red Sox luck. The Old Town Team overcame the bad mojo. Hopefully Barack will too. One has to wonder who the Republicans are salivating more over--Obama backed by Kennedy/Kerry, kind of a Beelzebub/anti-Christ duo of northeast liberals OR the Clintons. Maybe they'll drive themselves into early graves obsessing over it. While the repubs work themselves into a frenzy, you have to feel for all those comedy writers for Jon Stewart and Steven Colbert who must just be dying a little bit inside with all this material just waiting to be picked over. Jerome Kerviel can't catch a break. He's the mid-level functionary allegedly responsible for a $7.2 billion (BILLION!) loss for Societe Generale, the not-as-big-as-it-used-to-be French bank. In early reports he was painted as a financial mastermind. Now, according to The New York Times and others, he's "Mr. Average,"
He never got further than a green belt in Judo; attended an "average college" where he got "unremarkable grades." Worse, it appears he didn't personally profit from his "rogue" trading. If you're gonna get caught for perpetrating massive fraud, wouldn't you rather go out looking like James Bond rather than Homer Simpson? Well at least he's a Facebook star. This is the biggest news to hit these parts since the mysterious closing of Kay's Fruits. The Toilet Museum is coming to a spot near the squa-ah. As in Watertown Square not those wannabes Harvard or Copley Squares. More here. Suffice it to say, Worcester's loss is our gain. Note: This is not a snark-post. It really is pretty cool. You gotta get a load of this. Clemens and Martarano: Best of Boston? Was it just dumb luck that 60 Minutes last night focused on two of Boston’s most infamous? 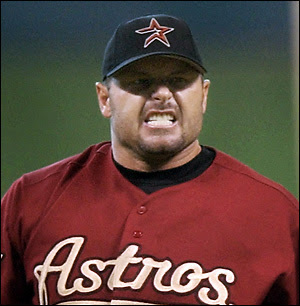 Oddly, between alleged-steroid-user and bona fide creep Roger Clemens and professional hit man John Martarano, the latter seemed more credible. Yes, he killed something like 20 people (he didn’t count). No, he didn’t enjoy it but yes, he felt it was the right thing to do in those circumstances. And yes, he intimated he’d probably kill Whitey Bulger if given half a chance. So for this guy to outshine Roger really says something. Granted there are many in Boston who’ve never forgiven Clemens for his grace-less exit and subsequent thuggish behavior. When he threw the broken bat at Mike Piazza in the Subway Series, it was clear that something had gone horribly awry with Clemens. His claim that he “thought it was the ball” never made sense. Unless he suddenly thought himself engaged in dodge ball. That made me a Mets fan. Quite a move for someone still nursing the memory of the 1986 series like an open wound. Anyway, at the risk of legal action, Roger looked to me like a lying sack of you-know-what. Now he’s sued his accuser--which might have been a lot more convincing a month ago. Had he, personally, gone to the media immediately after the Mitchell Report screaming foul (as David Justice did) he might have gotten more support. Instead it looked like he was checking his story, once, twice, thrice. Going over every syllable with his lawyers. Then letting them do his talking. Then a video...It just didn't compute. Then, last night on national TV, he accused his accuser of trafficking in steroids. How exactly that claim helps Roger’s credibility is beyond mere mortals. So Brian McNamee bought and sold HGH and steroids but he injected Clemens only with B-12 and lidocaine??? Hmmm. It also is incredible to me that he had no knowledge that he would be named in the report. That directly contradicts what George Mitchell said. For a good roundup of Clemens critiques see this USA Today blog. Schadenfreude rules. The latest news out of N.H. is that McCain is surging, Mitt, our former-not-so-beloved gov is sliding, and the nutjob out of New York is stuck in neutral. And in Iowa, Mike Huckabee may prove that Romney may have rented, not bought, Iowans' support. More here. 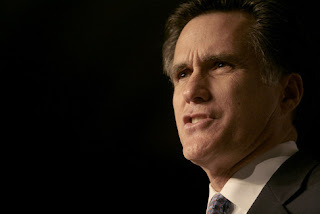 There are many surface reasons to dislike Mitt: The escapee-from-the-waxworks look is one. More substantive is the fact that he has been badmouthing the state that gave him his last executive position all over the country. How smart is a guy who doesn't "get" that what he says in South Carolina gets heard in Boston-Worcester-Springfield. Or worse, doesn't care. He condescends to the wacky liberal-lefties of the northeast. Worse he mocks them to amuse his new most-wanted constituency: Christian Conservatives. News flash: They're not gonna buy into him. Poor Mitt: He's stuck between the rock of Northeast liberalism and the hard place of the preachers.